Using temperature stand-offs can replace expensive high temperature pressure sensors. 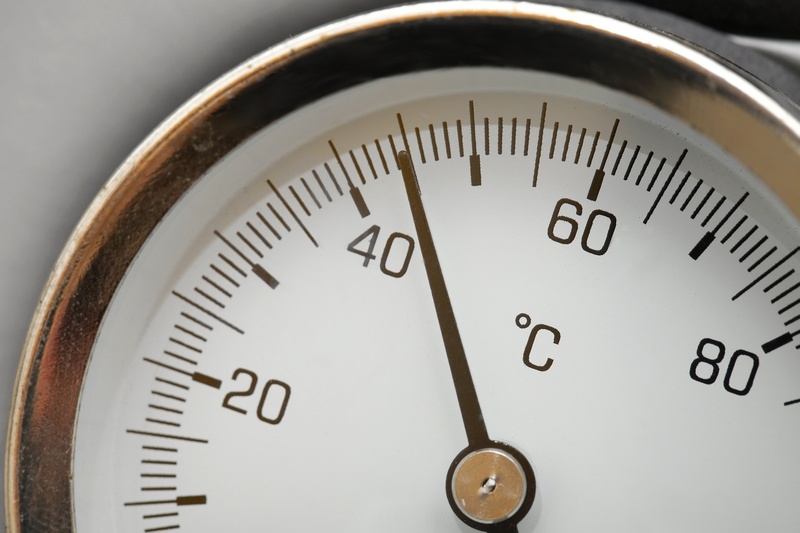 When selecting a pressure transducer for monitoring high temperature liquids or gases, be sure to note the operating temperature range of the transducer. This specification is included under environmental data on most manufacturers’ data sheets. The temperature compensated range specification of a transducer is the error introduced as temperature increases or decreases from 70°F. This thermal error affects both the span and zero setting of the transducers analog output and is generally listed as a percent of full scale per degree (% FS/°F). The static accuracy (accuracy at 70°F) of the pressure transducer plus the thermal error introduced by a high temperature pressure source is the total possible error for a specific high temperature pressure measurement. The expense of a special high temperature pressure transducer can be avoided by using a temperature stand-off (short length of tubing) to isolate the transducer from the high temperature pressure media. The chart below shows various lengths and diameters of tubing for 303 stainless steel and brass that will limit the media temperature at the transducer to 0-200°F. This chart assumes the ambient temperature around the transducer is 100°F and the major source of thermal input is via the connecting tubing. As an example, a 6 inch length of 1/4” O.D. 303 stainless steel tubing will protect a transducer from an 1100°F pressure media. CLICK HERE to learn how to select an intrinsically safe sensor.